Stunning year-old condo in the downtown core that has everything you need to feel right at home! 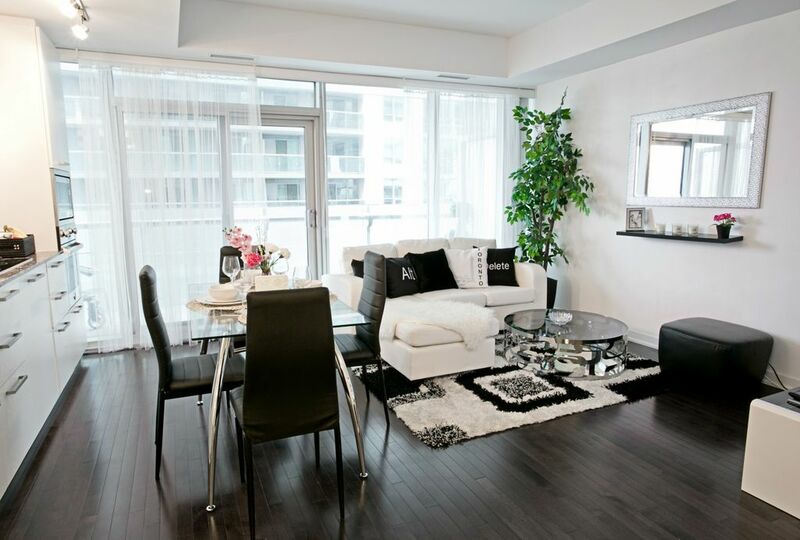 This stylish, comfortable, and beautiful apartment is located just 2 minutes to Union Station, CN Tower, Air Canada Center, and Harborfront. Access to Pool, Hot Tub, Sauna amd Gym in the building. If you plan stay with pets, please, confirm the opportunity prior to booking. Pets fee $10 night for 1 pet. Underground parking may be available at extra $20/day. Ask availability prior to booking. If you need additional parking there are many public parking around. I recommend 200 Queens Quay West (350 meters from my property). Flat rate weekdays 6AM-5.59AM $15, weekends & holidays 6AM-5.59AM $20 Or South Parking Metro Toronto Convention Center. It is situated in the end of Grand Trunk Crescent (150 meters from my property). Flat rate $31 any 24 hours. Transfer to/from airport $50 one way. My apartment has strict rules on silence and the absence of parties. In case of complains by neighbors or the administration will be charged a security deposit! If you took good care of the place and did not incur any of the above, it will be charged nothing. This condo is perfect for a get-away if you want to be within walking distance of many of the city sites. The owner also made it so easy for us to get into the condo. The slight downside is that the condo is a bit on the small side.